832.966.6699 | Contact For Houston Lofts for Sale. 832.966.6699 | Houston Lofts for Lease Options. 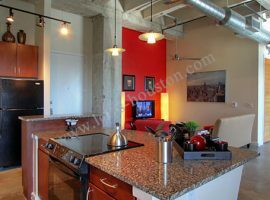 Loft apartments are located throughout Houston in such areas as Houston's Downtown, Greenway Plaza, Texas Medical Center, Galleria, Midtown, Washington Heights, Upper Kirby, and Montrose. When deciding to rent a loft apartment, you should consider the different loft options available in Houston, typically loft apartments fall into one of three styles of lofts — hard lofts, soft lofts and a blend of the two with an added highrise loft style. Hard Loft Apartments are the purest form of lofts, and what you likely imagine when you think of a loft space. A hard loft is a converted warehouse or other industrial type space. 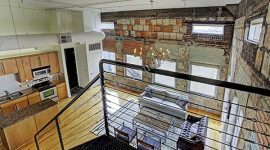 Hard lofts will have a combination of exposed original brick and beams, rustic hard wood and or concrete flooring, exposed duct work and plumbing pipes. A true hard loft should have high ceilings, large windows and open unique floor plan with kitchen and bathroom carved out, basically a raw space. Hard lofts are not for everyone, many people prefer to have private bedrooms or a mapped out floor plan. But for the true loft lover Houston is the place to find your space. The hard warehouse lofts in Houston are truly a treasure. Houston’s hard lofts or Warehouse lofts can mostly be found in the warehouse district or in and around the Downtown area. 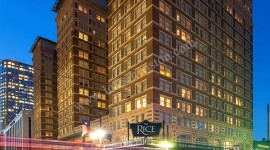 Many of the loft spaces in Downtown Houston will offer a combination of hard lofts and soft lofts in one building. Soft Loft Apartments are typically new construction lofts that can be found all over Houston. Soft lofts are usually new construction and feature loft styling while still providing private bedrooms or half walls separating the larger space into separate rooms. This option is a popular for those who seek a loft style with privacy. 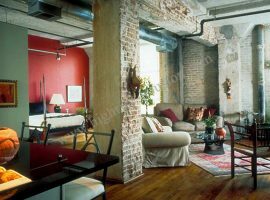 Soft Loft apartments in Houston have open loft floor plans with exposed duct work, brick wall accents, concrete floors and high ceilings with exposed beams above. 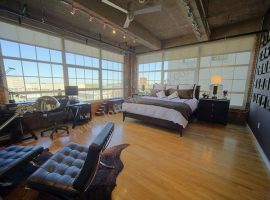 Lofts-Houston knows Houston’s loft apartment market and can find you the perfect loft to fit your needs and style. Houston has a wide selection of lofts, but they can be difficult to find. 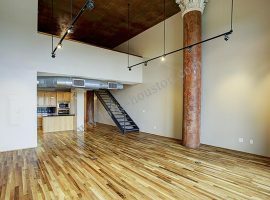 Lofts-Houston has access to every available loft in Houston whether they are for sale or lease. 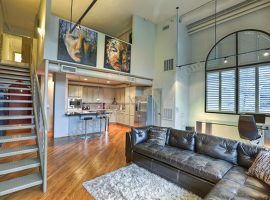 High-Rise Lofts are a unique category of lofts and Houston has high rise lofts in both the soft and hard loft category. 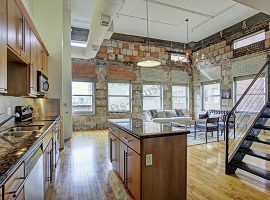 For example a historic hotel was converted into a high-rise that offers both studio style warehouse loft apartments and they have soft loft apartments in 1 and 2 bedroom floor plans available. Other examples of this are present in a hospital renovation in the Medical Center where both hard and soft loft apartments are available at one property. 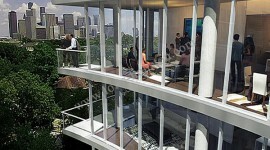 The term High Rise Loft can also be used to describe what would be better labeled as a high rise studio space. Without exposed beams, brick, duct work or high ceilings a high rise “loft” really is better described as a studio. However, depending on who owns or lists the property for lease or sale the terms may be interchanged. Many Houston renters want a High Rise space for the views and community amenities, but also desire open spaces, the category meets both needs. 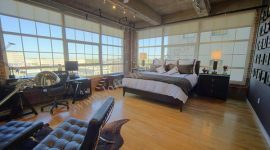 One aspect of High Rise lofts is very evident, traditional loft finishes are blended with luxury; this combination is very appealing for many Houston renters. Contact Lofts-Houston for a complete list.